Toast the success of your next campaign with this 14 oz. stainless steel twisting tumbler! 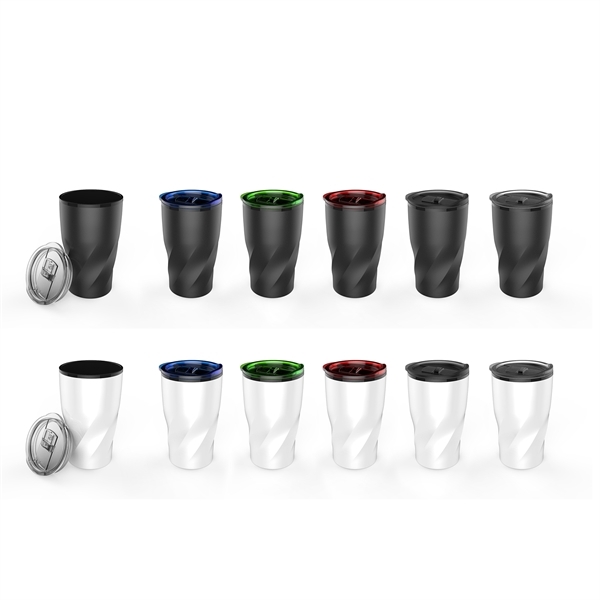 offered in black or white, the stylish stainless steel tumbler features a polypropylene insert and twisted exterior that will help separate your brand from the bunch. It keeps hot liquids hot and cold liquids cold, making it a diverse cup that can put your brand in recipients' hands even more. Choose your cap color and customize the cup with your name and slogan before distribution for maximum brand exposure!